Jamie is a Yoga and Reiki teacher, long time musician, songwriter, and Mother. Yoga has been a part of my life for over 10 years, and my practice has helped me grow stronger, as well as overcome severe anxiety and depression. Yoga inspires me to live each moment mindfully, and to show myself compassion on and off the mat. I completed my 200 hour gentle yoga training with Studio108 in 2011, have immersed myself in the practice of Kundalini and mantra meditation and I am currently studying Thai Yoga massage. I will always be a student of the practice and am deeply grateful for the loving wisdom my teachers have shared with me. In my classes I love to combine sensation focused techniques, deep opening poses, as well as muscular/mind relaxation. I use sound and vibration for healing in the form of singing bowls, native american flute, guitar, drums, and voice. 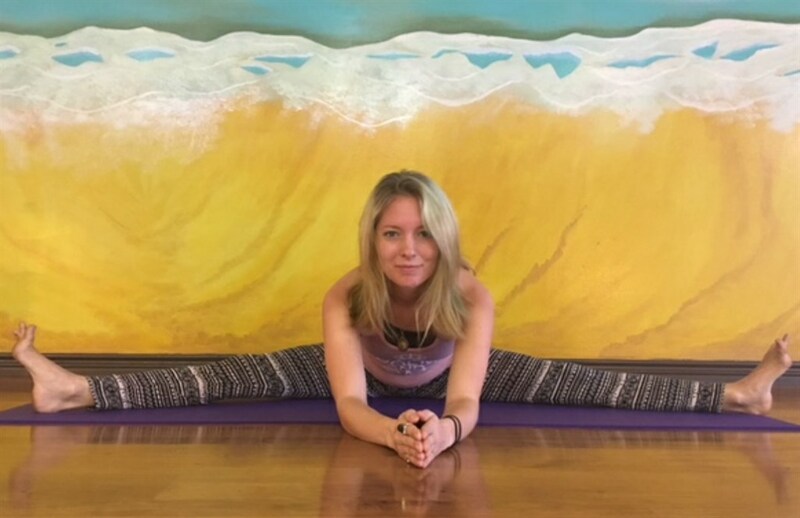 I seek to help others thrive and live by nurturing body, mind and soul with yoga and sound, and my hope is that you step off the mat feeling refreshed, nourished and balanced.